I love summer squash, but it’s so easy to overload with them because they are very abundant in the garden. Last year we drowned in summer squash and at one point I felt so overwhelmed all I could do is work squash into our meals for days at a time. While I love squash, when you eat it day in and day out, it can get tiring. We used some of our squash to make this really good Paleo spiced squash bread, used some for tacos (which were amazing!) then pickled the rest to make relish, which is super delicious on baked potatoes. Squash is easy to freeze too, but I didn’t quite get that far with ours because I felt like throwing them all into relish was so much easier. I have heard they make great bread and butter pickles but I haven’t yet tried that… we are still finishing off pickles from last year. This weekend we had a few pounds of squash to use up — I took my squash out of the fridge, pulled out my food processor, and shredded along with an onion and a single jalapeño. Deep down I had a feeling that relish might very well be a good idea for summer hamburgers thrown on the grill – especially because the weather is already perfect for firing up the grill. This relish is the fastest & easiest way to use that bumper crop of yellow squash and free up space in your fridge. It’s pretty versatile too – if you aren’t into dumping it on a hamburger, you can eat it along with baked potatoes or grilled fish. 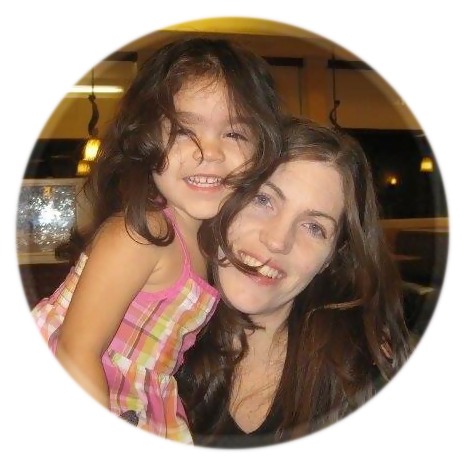 Or, I guess you could also eat from the jar by the spoonful too – since that’s what my oldest does with every other type of relish we have going on. 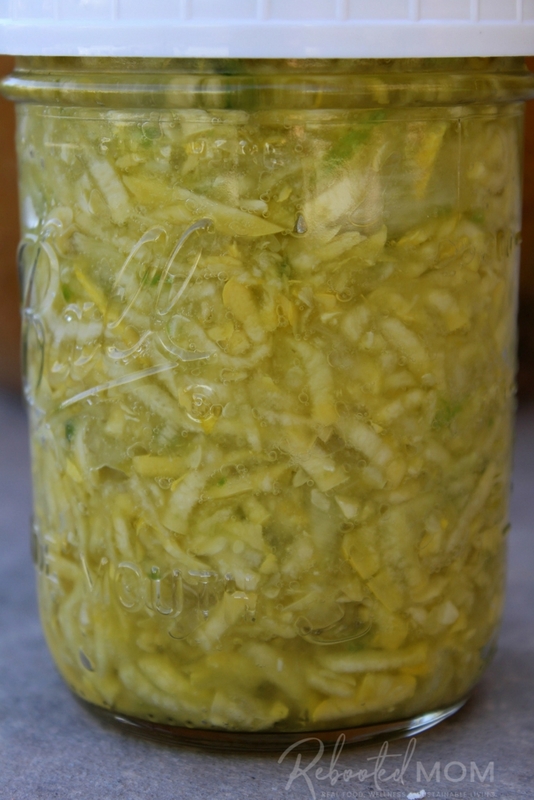 Fermented summer squash is a great addition to any meal. This is a healthy, probiotic fermented yellow squash relish. Use your food processor to shred the squash and onion. Dump into a large bowl. Finely dice the jalapeño and add to the shredded squash/onion mixture. Sprinkle the mixture in the bowl with 1-2 Tbsp salt, and allow to sit for 20-30 minutes as the salt draws the liquid out of the squash. Pack your wide mouth canning jar within 1/2 inch of the rim. The jar should have enough of the liquid (natural brine) to cover the squash - if not, add brine (1 Tbsp of salt per quart of water) just to cover. Place a fermenting lid on the jar, and top off the airlock with water. Allow to sit at room temperature (65-72 degrees) for 8-9 days, or until the bubbling subsides. Remove the fermenting lid and place a regular canning lid atop the jar and keep refrigerated. 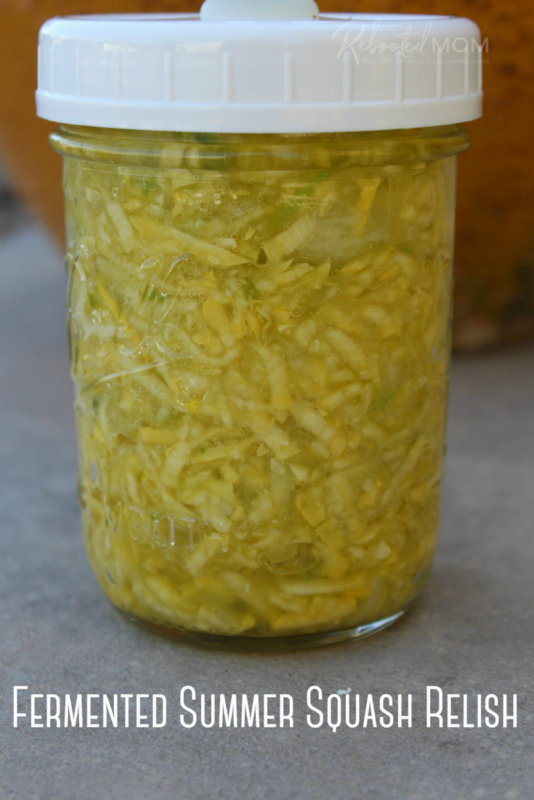 Share the post "Fermented Summer Squash Relish"